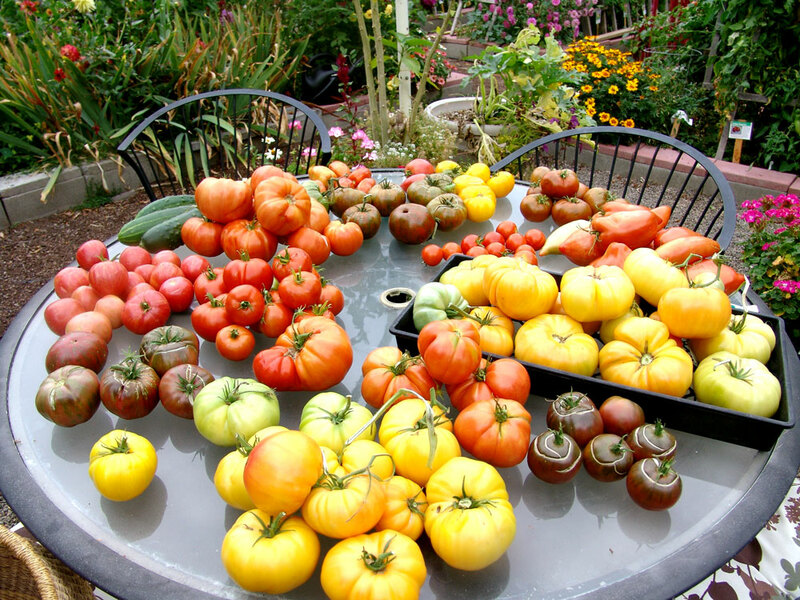 Here is a picture of one day’s harvest of tomatoes, which finally started ripening, (I swear in our neck of the woods it’s a fall crop now). I canned 31 quarts of tomatoes, so far and there will be many more . I like to do it this way because I can use them for just about anything, sauces, as an ingredient in a recipe, pepper steak, even soup. I mix all the colors together which I think is very pretty and strengthens the flavors, making it more complex. This entry was posted in cooking, food, gardening, tomato recipes, Tomatoes, Vegetables and tagged cokking, food, recipes, tomatoes by elzbthc. Bookmark the permalink.